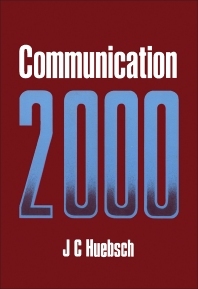 Communication 2000 covers the full range of the communication requirements of business and industry. The contents of the book are organized into seven parts; each part dedicates itself in covering a facet of human communication. The text first covers the fundamentals of communications, such as the essence of human and technical communication. The second part deals with communication models and aids, while the third part tackles the language structure and communication barriers. Next, the book discusses oral and written communication. Part 6 covers topics about research, while Part 7 deals with the general issues in communication, such as troublesome words, communication bugs, and abbreviations. The book will be of great use to individuals who want to expand their understanding about the nature of human communication.